We recently spent 5 weeks in Mexico City, and all of our friends and family back home were surprised that we spent such a long time there. Wow, that’s a long time! Is there that much to do there? Well, let me tell you, there was too much to do! Mexico City has more museums than any other city in the world except for Paris. It is a foodie paradise, boasting 3 of the 50 best restaurants in the world. It is a city rich in history: from its origins as the center of the universe for the Aztec people, to its period under Spanish rule, and to its present day position as a major financial center in Latin America. 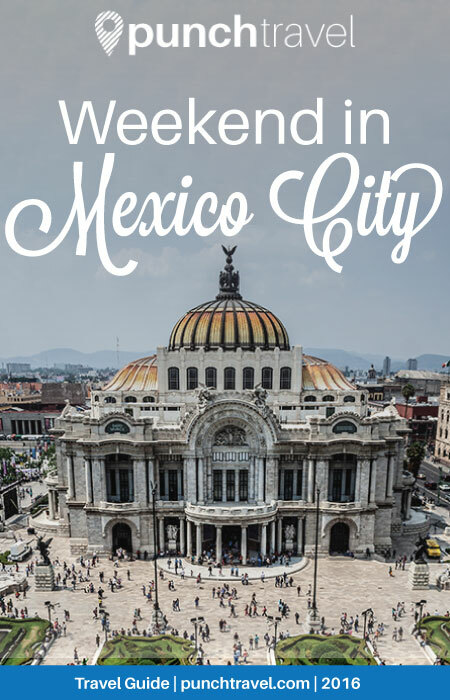 It is hard to compress all there is to see and do into a few days, but if you only have one weekend in Mexico City, follow our guide for the perfect weekend in Mexico City. Start your weekend in Mexico City off with a bang by catching some classic Mexican Friday-night entertainment. I’m talking about lucha libre, the wacky style of Mexican wrestling that is crazy, fun and hilarious. 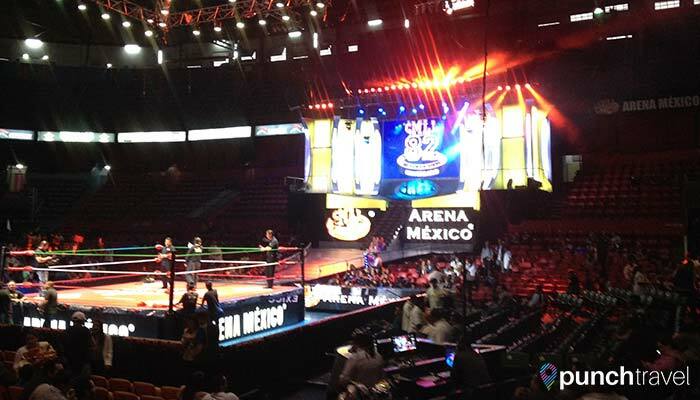 The main stadium is Arena México, in the Colonia Doctores neighborhood. Tickets are available at the door or in advance through Ticketmaster Mexico. Expect multiple matches on the program, including a round of female luchadoras. The typical match will pit two teams of three against each other for three rounds. Hawkers sell tortas, nachos, dorilocos and big cups of beer. 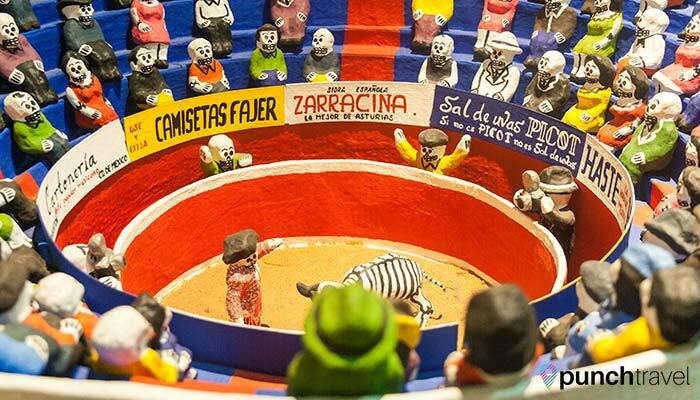 Lose yourself in the colorful costumes and acrobatic moves and cheer on your favorite luchador. 06720 Ciudad de México, D.F. Head to the Centro Histórico, the Historical Center of Mexico City, and a UNESCO World Heritage site. The history of Mexico City is reflected in the architecture seen throughout the area, with the majority of buildings constructed during the 300 years when Mexico was under Spanish rule. 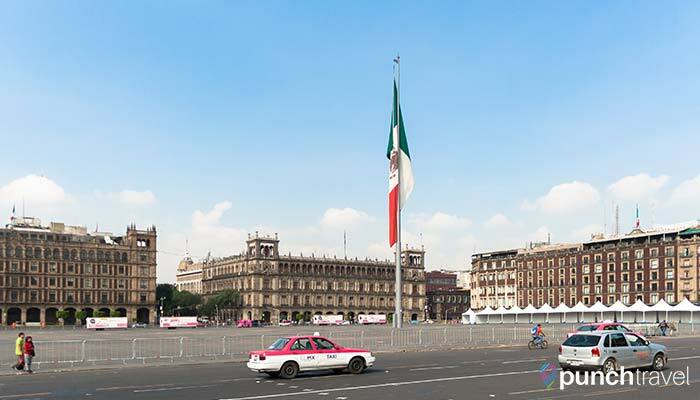 The main attraction in the Centro Histórico is the Zócalo, the main plaza, and the heart of Mexico City. Officially called the Plaza de la Constitución, it is one of the largest city squares in the world and was the main ceremonial center in the Aztec city of Tenochtitlan. Today, the square is where people gather for civic and cultural events throughout the year. Both Paul McCartney and Justin Bieber held free concerts here in 2012. The Zocalo is also the government center for both the city and the country, and protests are frequently staged here. The square is framed by the Metropolitan Cathedral, the National Palace, the Federal District Buildings and the Old Portal de Mercaderes. In the center is a huge Mexican flag which is ceremoniously raised and lowered each day and carried into the National Palace. The Palacio Nacional (National Palace) is another of the must-see tourist attractions in Mexico City. This beautiful colonial building, located to the east of the Zocalo, is the very site where the palace of the Aztec ruler Moctezuma once stood. Entrance to the palace is free, but you do need to bring your passport as it is a government building. The main attraction at the National Palace are the murals by famous Mexican painter, Diego Rivera. The murals span the walls above the main staircase and along the corridor of the second floor. This series of murals, entitled “Mexico a Traves de los Siglos” (Mexico Through the Centuries) highlights the history of Mexico from before the arrival of the Spaniards through to modern times. Also at the National Palace is an exhibit about former Mexican president, Benito Juarez, in what was his home during his regime. Learn about the man and the important role he played in Mexican history in a period which is now known as La Reforma del Norte (The Reform of the North) and view his personal items as well as recreations of the dining room, study, and bedroom in which he and his family lived. On the north side of Zócalo is Mexico City’s cathedral, the Catedral Metropolitana (Metropolitan Cathedral). 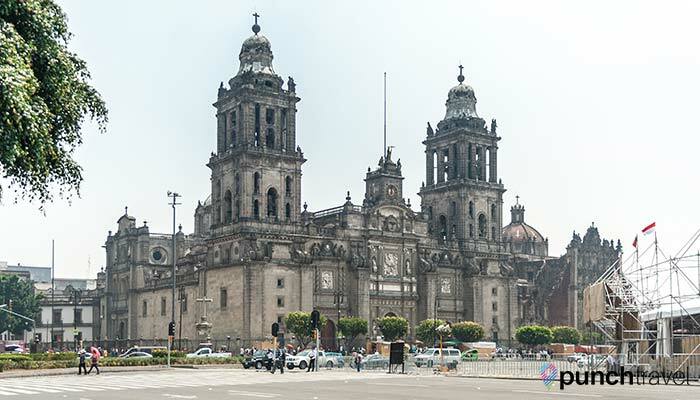 It is one of the largest and oldest cathedrals in the Americas, and is the seat of the Roman Catholic Archdiocese of Mexico. The current iteration of the cathedral shows the variety of architectural and artistic styles from which it was built from. In the center of the room you will find two massive organs. Most of the cathedral’s 16 chapels dedicated to different saints are open to view too. The cathedral also holds a crypt with the remains of previous archbishops, and a sacristy, which contains contains important church artifacts, as well as large canvas artworks by famous Mexican painters. 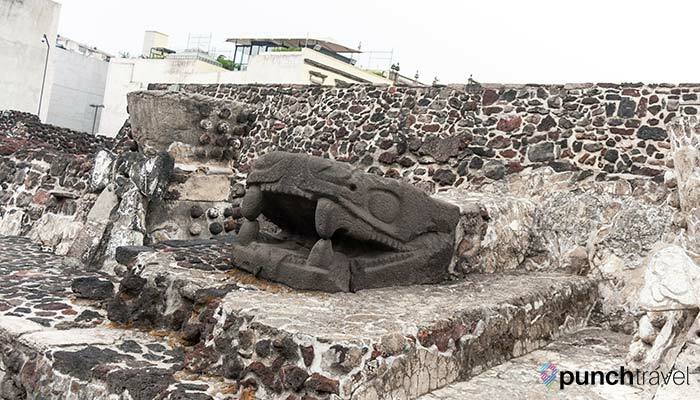 Next to the cathedral is the Templo Mayor, one of the main temple of the Aztecs. Today only the foundations of the temple remain, and are visible from the sidewalk surrounding it. 65 pesos gives you access to walk among the ruins as well as explore the museum. The main temple of the Aztecs was only part of a city believed to contain as many as 78 buildings. The temple was dedicated to the rain god, Tlaloc, and the god of war, Huitzilopochtli. See how the Aztecs expanded and grew the footprint of the temple, and the different architectural styles and techniques they employed. Different rooms and sub-temples served different purposes, like an altar room for offering sacrifices, or as a tribute to the rain god, Tenochtitlan. Various placards in Spanish and English are placed throughout as you walk among the ruins, and they offer valuable information to provide insight into ancient Aztec culture. After walking through the ruins, enter the museum which contains many of the artifacts that were uncovered during the excavations. The museum contains 8 rooms, each with a different theme ranging from the flora and fauna that existed to the religious idols and offerings that were found buried beneath the temple. The museum is very well put together and the information is presented in both Spanish and English. 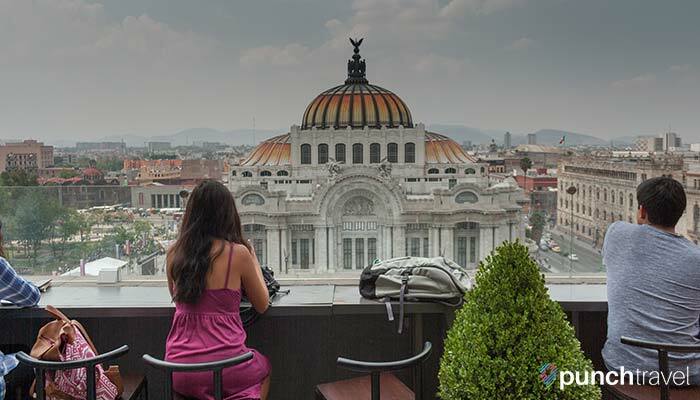 If you need a break, head to the terrace bar at the Gran Hotel Ciudad de México, located across the street from the southwest corner of Zócalo, for a refreshment and a spectacular view of the square. 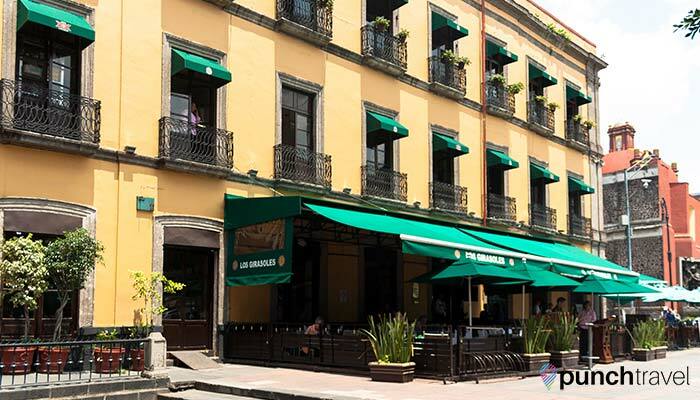 If you’re feeling adventurous, grab lunch at Restaurante Los Girasoles on Calle Tacubaya at Plaza Manuel Tolsa. This restaurant is famous for several reasons. First, it was featured in the opening scene of the latest James Bond movie, Spectre. In the movie, 007 is standing in front of the restaurant, keeping tabs on the bad guy before entering a hotel and walking along the rooftops to take out his target. As such, the second reason Los Girasoles is famous is because the actor, Daniel Craig, dined there. Which leads me to the third reason which is what he ate: insects. A specialty from the Oaxacan region, meal worms, ant larvae and grasshoppers are considered a delicacy in Mexican cuisine. Don’t miss the dish when you are there – the insects are fried and well-seasoned, so you barely realize that you are eating bugs. 06000 Ciudad de México, D.F. Afterwards, head towards Alameda Park, but first make a stop at the Palacio de Bellas Artes. Housed in a beautiful Art Nouveau building, it is host to several cultural events, like the Ballet Folklórico de México, permanent and temporary art exhibits and an impressive set of murals by Diego Rivera and David Alfaro Siqueiros. 06050 Ciudad de México, D.F. The best spot to take in the views of the Palacio de Bellas Artes is to head across the street to Sears and go to Don Porfirio Caffe on the 8th floor. The cafe overlooks the plaza in front of the Palacio and provides the perfect photo-op. The coffee’s not bad either! 06000 Ejido del Centro, D.F. Continue to Alameda Park, a bustling green space in the heart of the city. On the weekends, vendor stalls line the park selling everything from jewelry, toys, bootleg DVDs and more. Of course, you are sure to find all sorts of food vendors as well, selling blue corn tortillas stuffed with meat and cheese called tlacoyos, to the flat, pizza-like tortilla with toppings called tlayuda, and of course, an abundance of potato chips, chicharones and snow cones. The area around Alameda Park is home to many of the most notable museums in the city, including the Museo Mural Diego Rivera, which houses his famous work, Dream of a Sunday Afternoon in the Alameda Central. A block away from the park is the Museo de Arte Popular, which contains various Mexican folk art and handicrafts throughout the region. The museum is organized into five sections, covering the roots of Mexican folk art, religious pieces, the roots of popular arts and crafts, everyday objects, and fantastic and magical things. Exploring this museum, you get a taste of the colorful and creative nature of Mexican popular art. The range and diversity of the artwork on display show how complex and magnificent Mexican tradition and artistic skills span. 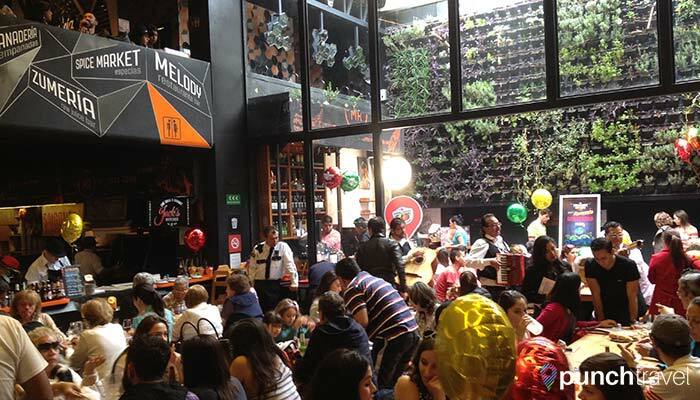 Wander through the trendy neighborhoods of Condesa and Roma. Condesa is situated to the west of Avenida Insurgentes and is arguably one of the most beautiful neighborhoods in the city. It is full of art deco houses and art nouveau palaces that coexist with California-style or other more modern buildings. Two parks, the Parque Spain and the Parque Mexico, provide green space and restaurants, bars, shops and galleries. For delicious Italian cuisine, try Trattoria Giacovanni off Parque Mexico. Start your meal with some warm ciabatta bread with olive oil and basil cut table side. The pastas are all homemade, and the risotto is delicious as well. East of Avenida Insurgentes is the Roma neighborhood, currently known as the resident hipster enclave. Here you will find several trendy bars like Lilit, a chill gastropub with a laid-back vibe serving assorted craft beers and outstanding cocktails. In true hipster fashion, order a cocktail called the San Francisco Homeless which is served inside a paper bag. Another place worth checking out is the Romita Comedor, a cool, speakeasy-type cocktail bar/restaurant located in an airy greenhouse-like space overlooking the street below. Mercado Roma pictured below, is a trendy food hall featuring local restaurants and artisanal food and drink. 06170 Ciudad de México, D.F. Take a break from the hustle and bustle of the busy city streets by spending Sunday morning in the Bosque de Chapultepec, the largest urban park in North America. At 1,695 acres, the park is home to many of the city’s most popular attractions like the National Museum of Anthropology, Chapultepec Castle, and the Modern Art Museum. On Sundays, most of the museums offer free entry. 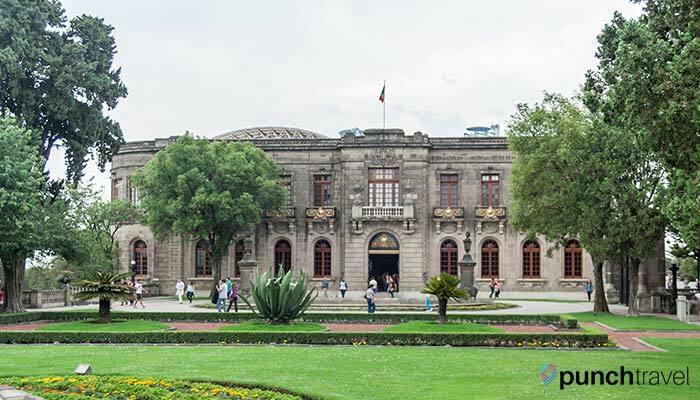 In the corner of the park, climb to the top of the hill for not only the 360 degree views of the city, but also for the Chapultepec Castle, which is currently the home of the Museo Nacional de Historia (Museum of History). The castle dates back to 1775, when it was originally commissioned by Viceroy Bernardo de Gálvez as a vacation home. Unfortunately he never got to live in it because he died mysteriously 9 years later, and the castle passed hands for many decades until it was finally completed in 1863. Today the history museum spans two floors and is organized in two sections: the history rooms, and the site museum, called Alcázar. The first floor of the history rooms takes a look at the history of Mexico from the colonial period to present day. Paintings and artifacts trace the country’s history of conflicts with Spain, France and the United States. The Alcázar section of the museum contains recreations of the castle rooms as they were when the castle was inhabited by its various official residents, like the emperor Maximilian and his consort, Charlotte and president Porfirio Diaz and his family. The first floor contains furniture, household goods, jewelry, and paintings from the time period. 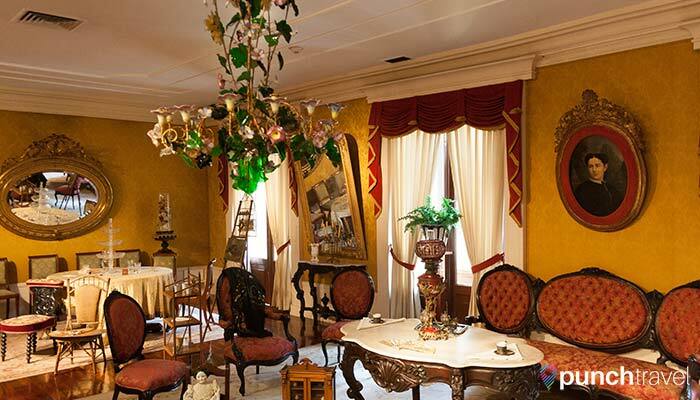 Rooms have been restored to show how the residents lived, with an elaborately decorated dining room, music room and even an early electric elevator. A large room on the ground floor stores various carriages that were used to transport people from the castle to town. The second floor contains a meticulously maintained garden and terrace overlooking the Paseo de la Reforma. In the center is the Tall Knight tower with the Mexican flag rising above the castle. Don’t miss the beautiful stained glass hallway leading to the bedrooms of Porfirio Diaz and his wife. 11100 Ciudad de México, D.F. About 30 minutes south of Mexico City is the bohemian neighborhood of Coyoacan, where temples, old houses, colonial plazas, markets, museums, libraries and crafts abound. Coyoacan translates to “Place of Coyotes” in Nahuatl, the language of the Aztecs who once inhabited modern day Mexico City. Coyoacan’s magical atmosphere, lush vegetation, and tranquility has long drawn artists and writers to reside in this historical town, most notably, Frida Kahlo and her husband, Diego Rivera. 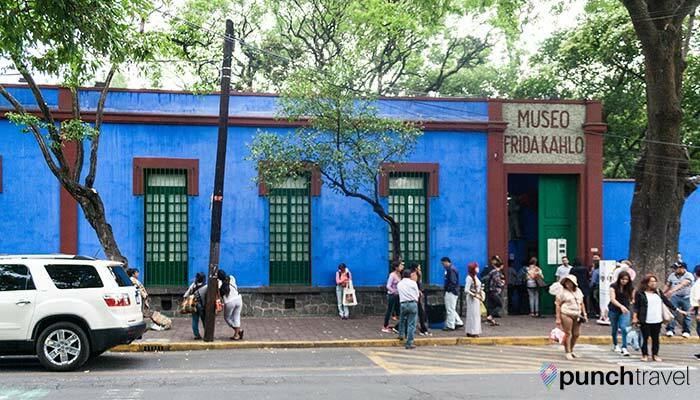 La Casa Azul, or The Blue House, is the name of Frida Kahlo’s childhood home, and the current site of the Frida Kahlo Museum. Kahlo was born here and spent much of her life here leading up to her death in 1954. Today the museum houses several pieces of artwork as well as many of the artist’s personal possessions, including clothing, jewelry, and folk and pre-Hispanic art that once belonged to Frida. Temporary exhibitions showcase her unique sense of fashion, and the medical accessories she wore throughout her life as a result of her tragic bus accident. 04100 Ciudad de México, D.F. Coyoacan is also home to many bustling markets. A few blocks south of the Frida Kahlo Museum is the Mercado de Coyoacan, where vendor’s stalls overflow with fresh produce, spices and a variety of handicrafts. Grab a bite to eat by eating your way through fresh ceviches and tostadas con pulpo. A few blocks south is the Mercado Artesanal Mexicano, where you can walk through rows and rows of stalls selling a mix of Mexican handicrafts and souvenirs, smoking paraphernalia and get a tattoo or piercing. Across the street from the market, Coyoacan’s central square, the Plaza Hidalgo, serves as the neighborhood’s main gathering place. 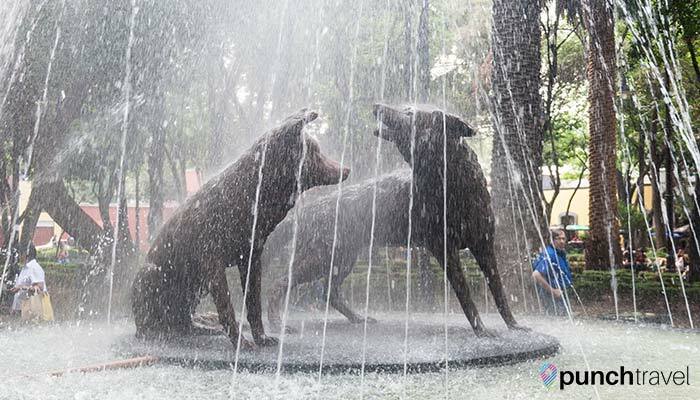 In the center of the adjacent Jardin Centenario sits one of Coyoacan’s most iconic and charming landmarks, the fountain featuring the coyotes that gave the neighborhood its name. If you need a coffee, grab it at Cafe El Jarocho, a Coyoacan institution which serves some of the best coffee in town. Buy some traditional Mexican churros and bunuelos (deep fried fritters topped with sweet syrup) from the street vendors.